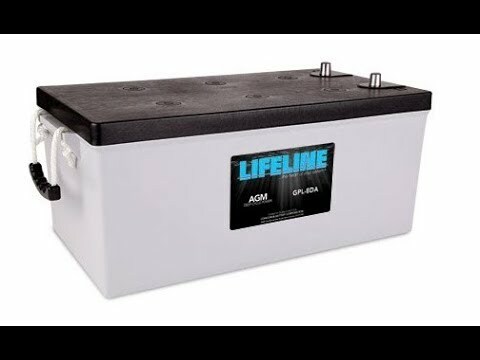 Could This Be The Last Battery You Buy For Your Boat? The global battery market is estimated to reach $120 billion US by 2019. 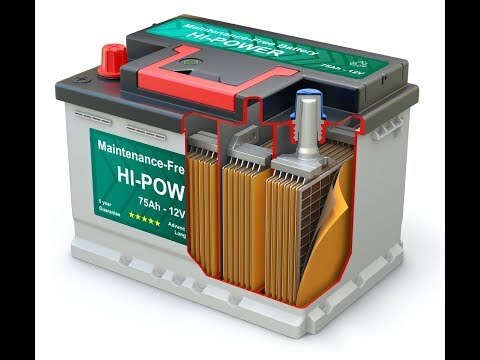 However, since the introduction of the Absorbed Glass Mat (AGM) sealed or valve-regulated lead acid battery, we have not seen a huge shift in battery technology for the marine industry until just recently. 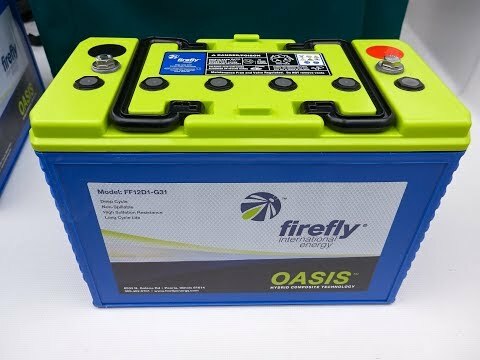 There has been a definite buzz on the docks about the new Firefly Oasis carbon foam AGM battery. It is an almost perfect storm of battery technology meeting the requirements of a number of different functions across a myriad of applications. At about the same time, electric and hybrid vehicles were becoming readily available in the consumer market. This amplified the discussion around battery technology as users across multiple, unrelated industries were looking for the same requirements. It is interesting to note that the AGM or valve-regulated lead acid battery was also not invented by a battery manufacturer but by Gates Corporation, a rubber hose and belt company. In 2010 Firefly International set up production of the Microcell Carbon Foam 12V Group 31 Deep Cycle battery with an eye on the trucking industry, solar power industry and defense contracts. Like the marine industry, batteries for these applications had to have a greater cycle life and a resistance to sulfation. The Science. 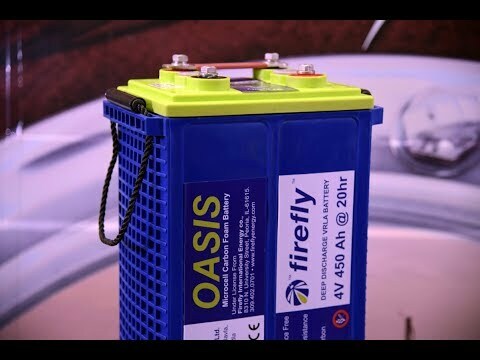 The Firefly Oasis, is based on the sealed valve-regulated design of a conventional lead acid battery but the negative plate has been replaced by a light-weight, sulfation-resistant, microcell material. This technology embeds carbon foam into the lead grid structure allowing the battery to be stored at a partial state of charge for long periods of time without the risk of sulfation. 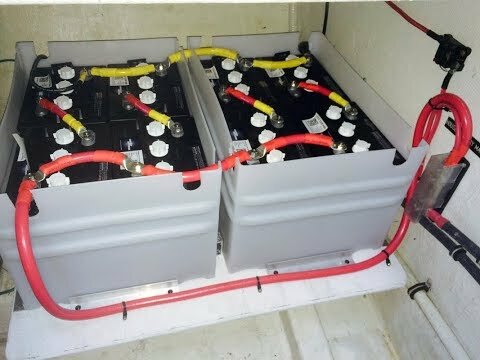 This is the number one reason that batteries fail on boats, because the batteries are not regularly charged to completion. In the perfect situation, a battery will be discharged and then re-charged immediately to 100% based on the three stages of charge, bulk, absorption and float. However, during the lifetime of a battery many boaters, while cruising and away from shore power, will turn the generator or engine off before the last 15-20% of absorption phase charge is completed. 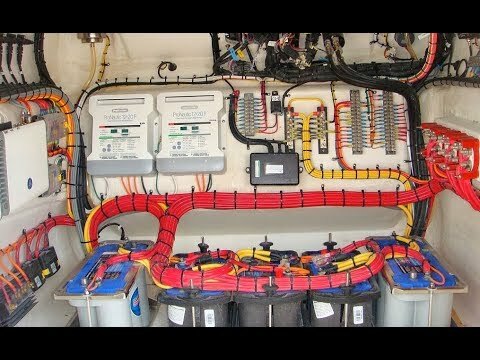 Boat owners have lived with this limitation, recharging the batteries only in bulk mode (50% to 80% of battery capacity), as a way to recharge their batteries quickly but in doing so sacrificing some battery life. Increased Depth of Discharge (DOD). The microcell material also allows an increase in the surface area while reducing the amount of lead required and therefore reducing the weight of the battery. This gives the battery a higher energy density while allowing it to accept and disperse power faster. The firefly can easily handle delivering 80% of usable battery capacity (depth of discharge to 20%) and still offer three to four times the battery life of a standard AGM battery. The most incredible benefit of this technology is that this battery can stay in a partial state of discharge (i.e. cruising for extended periods of time and never getting to 100% of battery capacity) and never lose any permanent capacity over time. You simply have to charge the battery and it will return to 100% of its original battery capacity. Lower Cost Per Cycle. At time of print, the Firefly Oasis Group 31 battery retails for a little under $700. At first glance, compared to its counterparts, the price seems really high but when you break it down by number of cycles and available usable capacity over the lifetime of the battery, it really does make sense. At 80% depth of discharge, the firefly gives an impressive 1200 cycles, that is an incredible amount of nights at anchorage. When a boat has no space for additional batteries, we often recommend upgrading from flooded to AGM. More usable battery capacity with AGMs can translate to increased battery capacity if you keep the same number of batteries or alternatively you can reduce the battery bank size and still have the same amount of usable capacity. For example, four Group 31 AGMs will provide about the same amount of usable amp-hours as six Group 31 flooded batteries. Only three Firefly Oasis Group 31 batteries would provide the same usable capacity as six Group 31 flooded batteries. To top it off the battery life would be four times that of a flooded lead acid battery. If you have been contemplating replacing your battery bank, these new batteries just make sense. Although the upfront cost is significant, the value proposition is unbeatable because of the combination of increased depth of discharge, faster charging and the ability to leave the battery in a partial state of discharge and never lose any capacity (either on purpose or by mistake). 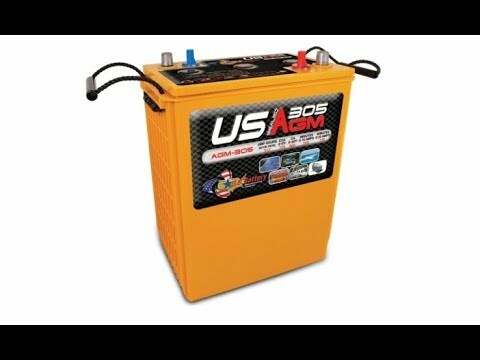 It is quite possible that this could be the last battery you buy for your boat.